It's time to start thinking about that tasty Thanksgiving turkey. My problem the past few years? Cost. Oh wow are they expensive! I think we had chicken last year. The few years before that, we were blessed with a turkey as a gift. We've considered raising our own, but with the drought, we just hadn't made that investment yet. Before the drought, we had a nice flock that would visit regularly. I've never heard any of the local hunters say anything good about wild turkey though, so again... I haven't tried yet. My dad did raise a turkey one year. Mom couldn't eat it. It had followed her around like a puppy and I don't think she has eaten turkey at all since! As you should know by now, I LOVE very old books. I also love encouraging parents & grandparents to read these very old books with their children & grandchildren. Why always teach, talk, & read down to children? You'd be surprised at what they can understand and absorb from a very young age. I wouldn't read books like this to mine from cover to cover. 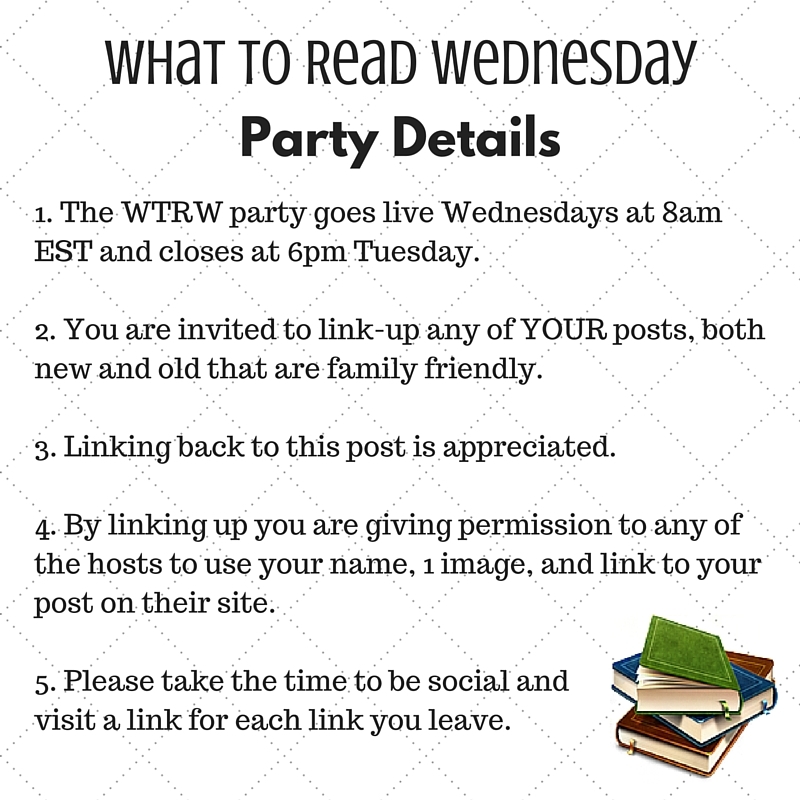 Rather, I would read snippets to them, highlight some passages for copywork, and have the older children read chapters they are interested in. These two books are free on Gutenberg.org (I love that site!). Enjoy! 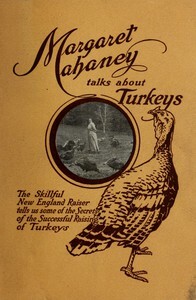 Margaret Mahaney Talks About Turkeys: The Skillful New England Raiser Tells Us Some of the Secrets of the Successful Raising of Turkeys was originally published in 1915. "The one great essential on the part of a person raising or attempting to raise turkeys is patience, or persistency, whichever you care to call it. To anyone thinking of starting in this work I can only say that you will meet with plenty of difficulties and much that will discourage and dishearten you, but when you remember that each failure or discouragement means just that much more added to your knowledge of, and experience in this work, it should give you heart to keep on, and if you do keep on and on, using each little bit of experience thus gained and using it to good effect, in the end success is bound to come. I am going to tell you a few of the discouraging things that happened to me, and also of my method of raising turkeys, a method based on long experience and perfected in the face of many discouragements, and I hope that in the telling, you may learn something that will be of benefit." 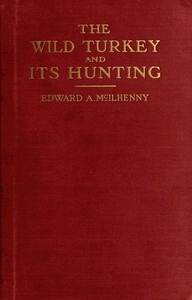 The Wild Turkey and Its Hunting by Edward Avery McIlhenny was originally published in 1914. Reviewers on Amazon say: "A scarce title about turkey hunting in the old days. It will give you a new perspective on turkey hunting." & "My husband is really enjoying reading this book." Note: There is a chapter on "prehistoric" turkeys which is kinda funny, talking about turkey skeletons and fossils. The author was definitely an evolutionist and trying to sound scientific. There is neat information about wild turkey eggs, behavior, and habitats. The pictures are pretty amazing. The language in some of it is really neat too; "Sometimes, though rarely, I have known an old monarch to take a companion gobbler into the very bosom of his harem, however strange this may appear. I have known of half a dozen instances of this nature where two old gobblers have formed an inseparable alliance and remained together staunch friends for years." Here are two sites with a nice variety of free turkey coloring pages too. Both of these coloring images take you to the site's turkey page with over a dozen different coloring pages each! The children can pick out their favorites or you can print out a whole little turkey coloring book for them. FUN! I have a budding hunter in the house who managed to get a turkey last year, but it's nothing like a store-bought bird. We were really only able to eat the breast meat, and then it is not recommended that you roast the bird. I cut it in chunks, breaded it and fried it. Everyone loved it, but I guess I'd rather have a roasted bird for Thanksgiving dinner. I wondered about just boiling it down in a broth & making homemade noodles. I prefer roasted (or smoked) bird myself. The broth from a wild bird could make the meal go further... Thanks for visiting! Thank you for the idea of a coloring book. Lord willing I will be eating turkey with my 14 nieces and nephews this year and these will keep them occupied! For a second anyway. Thank you for sharing!